If you are looking to connect with engineers, Engineering firms, or allied service providers, Blue Mail Media can help you with the database that perfectly aligns with your targeted marketing campaigns. Our Engineering Email Database has been designed to help marketers run their multi-channel marketing campaigns with ease and significantly expand their outreach into newer markets. Our Mailing list of Engineers helps you gain a significant response rate, conversion rate, and eventually higher returns on investments. Whether you wish to connect with your target audience via email, telephone or mail, our database gives you access to all the required data to meet your multi-channel promotional objectives. No matter who your target audience are and which region they belong to, Blue Mail Media provides you the targeted Mailing list of Engineers and Engineering firms based on your specific marketing requirements. Our strong data partners’ network spread across the US, UK, Canada, North America, Australia, Europe and other important regions enables us to help clients without any regional constraints. 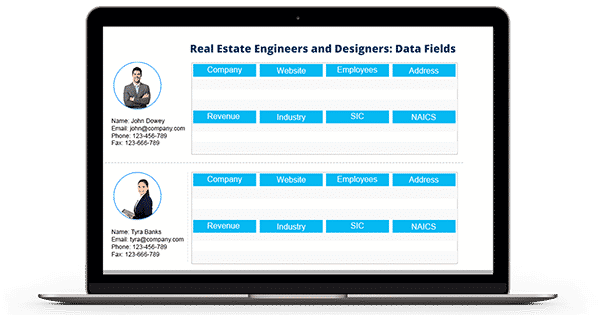 Apart from the pre-packaged Engineers Email List that we offer for your immediate marketing data requirements, we also offer to customize our database based on specific requirements that you may have. Hundreds of our clients operating in different regions have gained significant traction in their marketing activities using our mailing lists. They witnessed an increased response rate, conversion rate and higher returns on their investments.